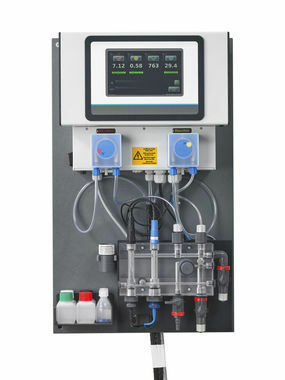 The system CPR Touch XL-2S has been developed especially for ambitious private pools and public pools (ideal for e.g. hotel- und therapy pools), where a reliable dependable compliance of water quality is requested. Measurement of the parameters free chlorine, pH-value, redox/ORP and temperature. The system CPR Touch XL-2S is in accordance with the common swimming pool norms like DIN, ÖNORM and SIA. 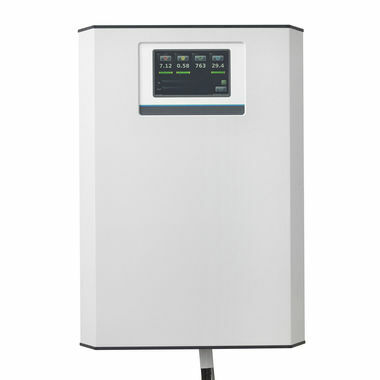 Stable and reliable measurement due to large and self cleaning chlorine and redox electrodes. Operation and visualisation via user-friendly 7“ Touch-Graphic display that ensures an easy operation. Each system is delivered individually tested and completely pre-mounted on a board. This ensures an easy and quick installation.